Founded in 1764, St. Peter’s is an Episcopal Church and a part of the worldwide Anglican Communion. We seek to follow God's leading in our daily lives through worship, formation, reflection, and engaging our world. We welcome all persons who are searching for meaning and purpose in their lives and who wish to learn more about the Christian faith. We are a diverse community where everyone can find a place at the table, and we invite those who are seeking a spiritual home to affirm their faith and grow with us. St. Peter’s celebrates life, not only within our walls but also outside in our local community, in the city of Milford Connecticut, in our region, and around the globe. There are numerous opportunities for involvement for both children and adults: Acolytes, Lectors, Eucharistic Ministers, Ushers, and Greeters. If you are interested, please speak to the Rector - The Rev. Matt Lindeman. The Choir of St. Peter's draws its repertoire from the rich tradition of Anglican music, ranging from plainsong to living cathedral composers. Highlights of the coming year include a plainsong Requiem for All Souls (Nov. 4), the Festival of Nine Lessons and Carols (Dec. 30), Choral Evensong for the Last Sunday after The Epiphany (Mar. 3), and the deeply-moving days of Holy Week and Easter. The Choir rehearses on Thursday evenings (7:00 - 9:00 pm). Interested singers are warmly invited to contact the Choirmaster, Fred Backhaus. Children are always welcome in worship. We have coloring materials in the entryway to the church available them to stay engaged, and we also offer nursery care for children (Infant -three years old) who are ready to stay in the nursery with our excellent childcare providers. Church School is available for children ages 3-11 at 10 a.m. on Sunday during the school year. Visitors are encouraged to have children attend a class. One of the Greeters or Ushers can direct you to the nursery. The Church School-aged children should begin in the service with their parents and will be brought up to their class by their teachers following the children's message. A note to parents...Children are always welcome in worship. We have a vibrant youth program for youth in Grades 6 – 12. Youth participate in a number of service projects, mission trips, and fun activities, meeting every other week. As we follow the example of the disciples and apostles, we recognize that Jesus' ministry included teaching. We host a number of bible studies, adult education series, book groups and forums, as well as prayer groups for adults. - A Bible Study that meets Tuesday mornings at 7:00-8:15 am in the parish library, next to the office on River Street. - A women's Bible Study that meets Thursday mornings 9:30-11:00 in the parish library. - Frequent Seasonal Bible Studies and formation programs on Wednesday Nights. 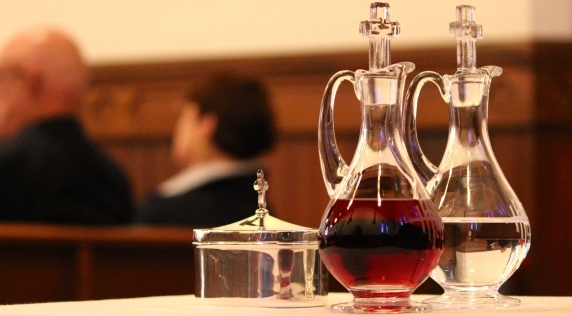 - Adult formation between our 8 am and 10 am services on Sundays in the Rector's office. We are committed to serving the community by serving those in need through our various mission and outreach opportunities. Free monthly meals are served to the public as part of our engagemnet with Beth El Center. We have participated in Habitat for Humanity and Homefront – building and repairing homes locally. We are a founding member of Milford Pastoral Counseling Center and Beth El Center. We provide regular support to the Milford Food Bank. We also provide backpacks and gifts at Christmas for children in need through our Giving Tree. Our Prayer Shawl group knits shawls for cancer patients, new moms and others in need of comfort and prayers. They also provide hats for the homeless and for cancer patients at Yale New Haven Hospital. 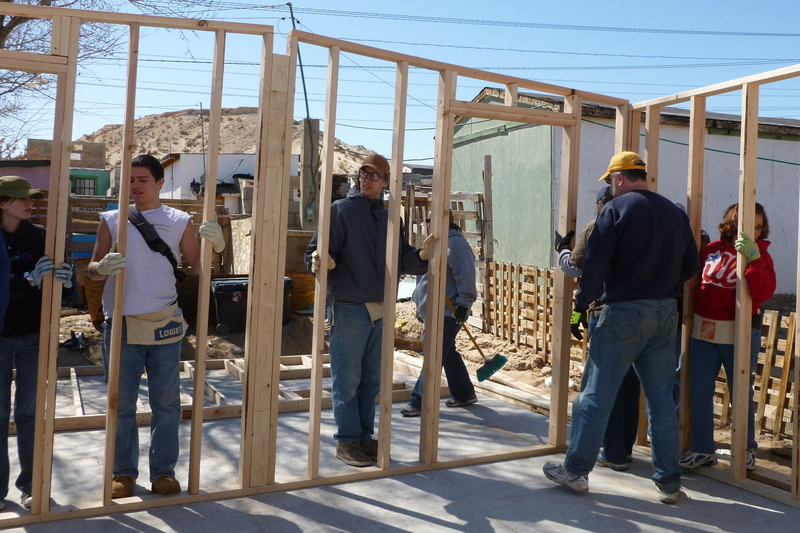 Each year since 2008, St. Peter’s has sent parishioners to build a home for a family in Juarez, Mexico. Funds have been raised to sponsor at least 11 “arks” for Heifer International, providing livestock for families in developing countries. Donations have also been given to support other mission efforts throughout the world. Tuesday – Thursday: 9:00 a.m. – 2:00 p.m.